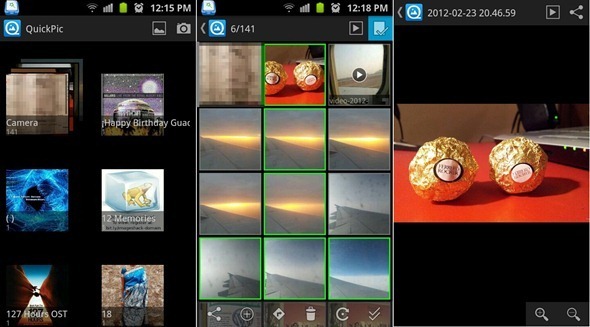 Best Photo Gallery For Android “QuickPic” Receives Major Update: Ice Cream Sandwich UI, Apps2SD And More! I’ve said it many times, I’ll say it again: one of the reasons Android enthusiasts are so enthusiastic about Android is because of the way they can radically customize their user experience. You can change your keyboard, your launcher, music app and in today’s case your Gallery app. QuickPic is one of the most popular Gallery alternatives for Android. While Gallery is a very good-looking app, it doesn’t have a strong feature-set. You can’t include/exclude folders for scanning, hide folders, watch animated GIFs to name a few things. We’ve talked about QuickPic before, but we’re covering it properly today since it has received a major upgrade. Check it out after the jump! 1. Re-add the gallery list mode, please click the "Gallery" button to select the browse mode! We’ve tested the app on a Samsung Galaxy S II on Android 2.3 Gingerbread and can confirm that it works as advertised. QuickPic is the strongest Gallery app alternative available today, and for good reason: it offers so many customization options that one can get lost in the settings menu. And it does this without sacrificing performance. 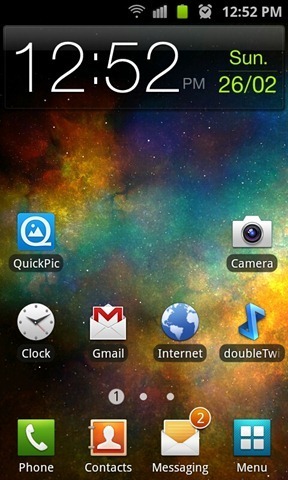 We highly recommend QuickPic to anyone and everyone with an Android device! Don’t forget to let us know what you think of QuickPic in the comments section over on our Facebook and Google+ page. N7 Music Player For Android: Unique, Multi-Touch Gestures Based UI, Powerful Equalizer, Widgets, And More!